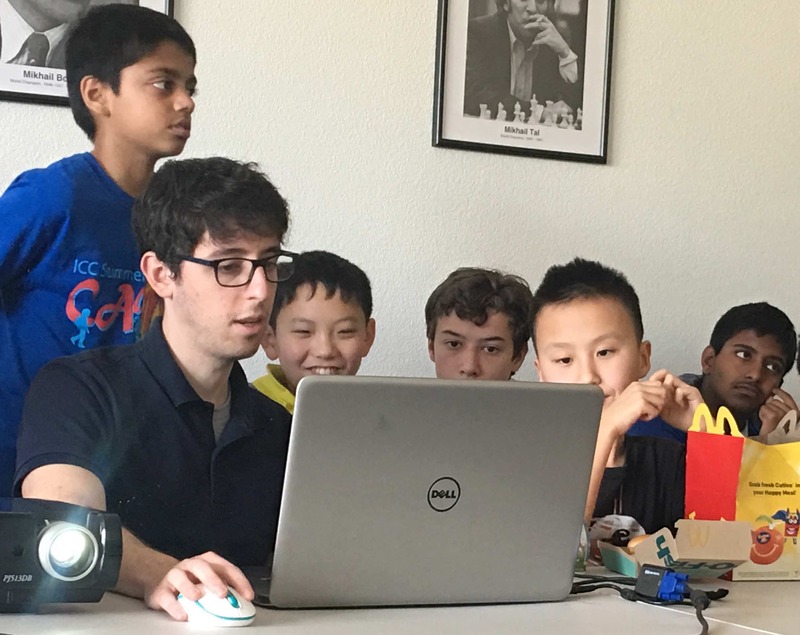 I'm a chess coach here at BayAreaChess, teaching at several of our after-school programs such as Oster Elementary in San Jose, head coach of our BAC A-Team on Saturdays and overall coordinator of the BAC Team program. Within the US Chess community I also work as a chess journalist and YouTuber, book author, and professional tournament player, on a quest to earn my GM title! I was born in Kiev, Ukraine but raised in Los Angeles, and first learned chess from my grandfather when I was 5. I was a pretty decent scholastic player, winning a few local Southern California youth tournaments and doing well at some of the national junior events. I took lessons from several coaches growing up, most notably Jay Stallings and IM Jack Peters. I then started training more seriously with GM Varuzhan Akobian. By the time I was 16, I had reached 2200 and became a National Master. That was the result of working more and studying chess intensely, as well as not letting higher-rated players intimidate me in tournaments. After I graduated, I began playing international tournaments in order to try to earn the International Master title. My main highlight is winning 2014 Southern California Championship. Around 2012 I started working full-time as a chess professional. This included writing for US Chess and Chess Life Magazine, as well as creating videos and doing commentary for Chess.com. I then co-wrote an opening book, Modernized: The Open Sicilian, which was published in February 2015. From 2013-14, I earned an MBA at Lindenwood University while on a chess scholarship and playing on their chess team. Currently, I’m also a member of the San Jose Hackers team in the PRO Chess League, sponsored by BAC, and help promote them on my YouTube channel, personal website, and Twitter. Of course I’m still actively training and playing tournaments to earn the GM title. I think teaching chess is really rewarding for both me and the kids. It helps them think critically and logically, how to identity and see patterns, and how to build their mental toughness as well as learning how to be a good sport no matter whether you win or lose. In December 2017, BAC in partnership with Chess University launched new online classes aimed at players of all ages and abilities. Check them out here!